Classical MPR recognizes the vital importance of music in schools and has created a portfolio of free resources for teachers. 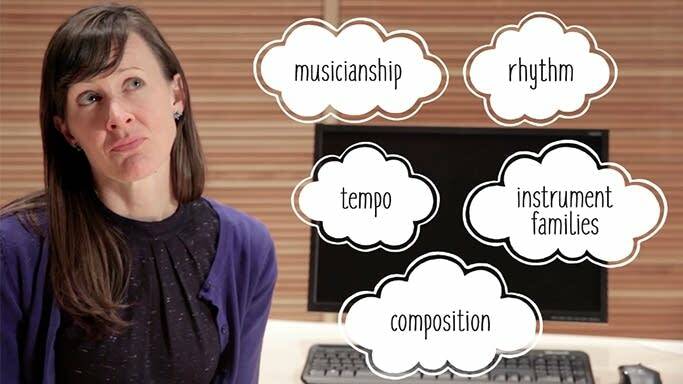 Our Music for Learning resources found on this website include Class Notes videos with curricula, lesson plans, activities, and more. This short teacher tutorial video — produced with and for teachers — gives an overview of these resources, demonstrating how to find them and how to adapt them for your unique classroom needs. Our Class Notes videos and curricula are designed for all kinds of elementary and middle school teachers, not just music teachers. They're based on Minnesota's music education standards, which align with national standards. Please use the contact form below the video to let us know how you used these materials, what worked best, and how they could be improved. We also welcome your suggestions for future Music for Learning offerings. Use this Master Lesson Plan to organize ideas and lessons to promote your own classroom goals!